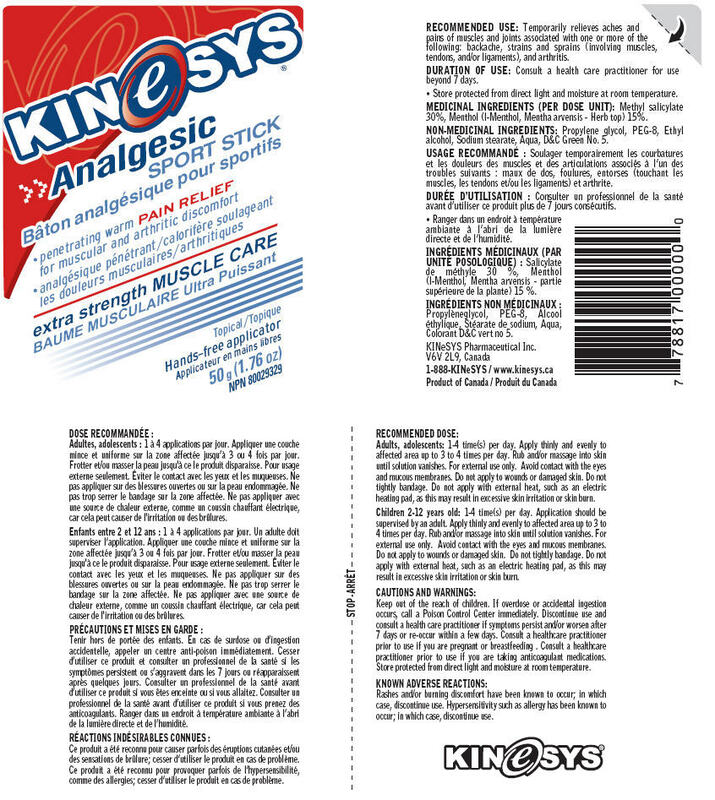 Temporarily relieves aches and pains of muscles and joints associated with one or more of the following: backache, strains and sprains (involving muscles, tendons, and/or ligaments), and arthritis. Consult a health care practitioner for use beyond 7 days. Store protected from direct light and moisture at room temperature. Methyl salicylate 30%, Menthol (l-Menthol, Mentha arvensis - Herb top) 15%. Propylene glycol, PEG-8, Ethyl alcohol, Sodium stearate, Aqua, D&C Green No. 5. 1-4 time(s) per day. Apply thinly and evenly to affected area up to 3 to 4 times per day. Rub and/or massage into skin until solution vanishes. For external use only. Avoid contact with the eyes and mucous membranes. Do not apply to wounds or damaged skin. Do not tightly bandage. Do not apply with external heat, such as an electric heating pad, as this may result in excessive skin irritation or skin burn. 1-4 time(s) per day. Application should be supervised by an adult. Apply thinly and evenly to affected area up to 3 to 4 times per day. Rub and/or massage into skin until solution vanishes. For external use only. Avoid contact with the eyes and mucous membranes. Do not apply to wounds or damaged skin. Do not tightly bandage. Do not apply with external heat, such as an electric heating pad, as this may result in excessive skin irritation or skin burn. If overdose or accidental ingestion occurs, call a Poison Control Center immediately. Discontinue use and consult a health care practitioner if symptoms persist and/or worsen after 7 days or re-occur within a few days. Consult a healthcare practitioner prior to use if you are pregnant or breastfeeding . Consult a healthcare practitioner prior to use if you are taking anticoagulant medications. Rashes and/or burning discomfort have been known to occur; in which case, discontinue use. Hypersensitivity such as allergy has been known to occur; in which case, discontinue use.